A Touch of Paradise. A Boatload of Fun! No maid service in Kitchenettes. Linens may be exchanged daily. Entire facilities are air conditioned for year-round comfort. Just a short walk to the boat dock from lodge. 2 Double Beds in Bedroom, 2 Twin Beds in Living Room. Our favorite place in the world. My husband has been coming here since he was a child and we began bringing our children over 13 years ago. We've come every year and brought our first grandchild for the first time this year. It's always like coming home when we come here. Best food, people and place on earth! 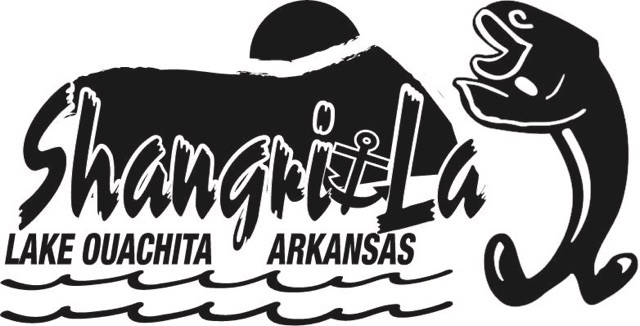 Shangri-La Resort is a little slice of heaven nestled beside beautiful Lake Ouachita. It's like taking a step back in time. I have been coming here since my childhood which is more than 40 years. There's no better place to reconnect with family and friends than spending time on this beautiful lake. The cabins are quaint and the restaurant is like eating at grandmas, even down to the homemade pie for dessert. You won't be disappointed if a quiet relaxing getaway is what you are looking for!!! You food was excellent! Service was exceptional and the atmosphere was very comfortable. The biggest treat was outside where the lake meets the sky! What a wonderful relaxing place to enjoy yourself! I WILL REFER MY FRIENDS ! !